Our Joya Black cigar is a continuation of our JOYA modern lineup which started in 2015 with the launch of Joya Red. 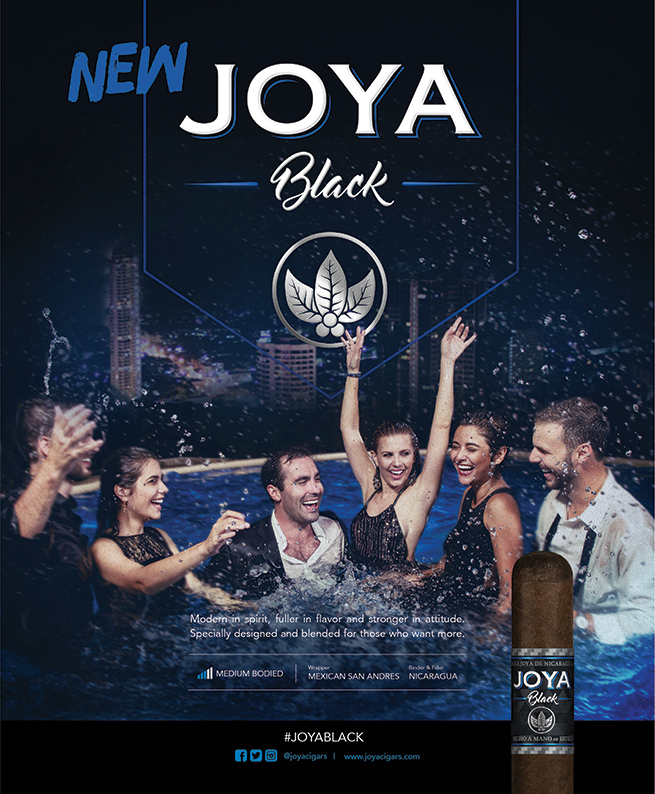 We describe Joya Black as modern in spirit, fuller in flavor and stronger in attitude! That’s exactly what it is. The cigar for the modern smoker who wants more. If the Joya Cabinetta is meant to be enjoyed during the morning and our Joya Red during the afternoon, then our Joya Black is the cigar of the night. For this reason, the look and feel created for its advertising materials showcase an after party and close friends who wanted a little more of the night. 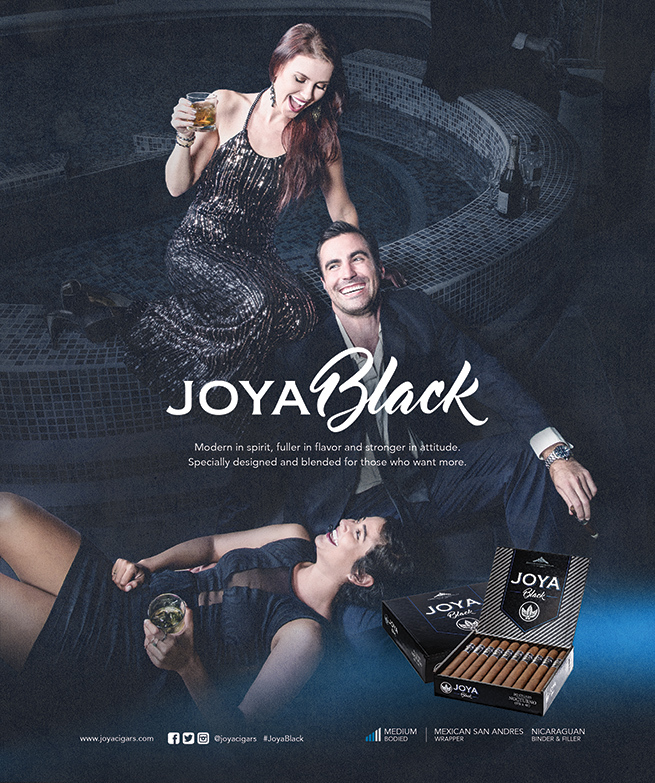 What do you think of Joya Black’s branding? Have you ever enjoyed our Joya Black in the late hours of the night? Please share your anecdotes in the comment section below!